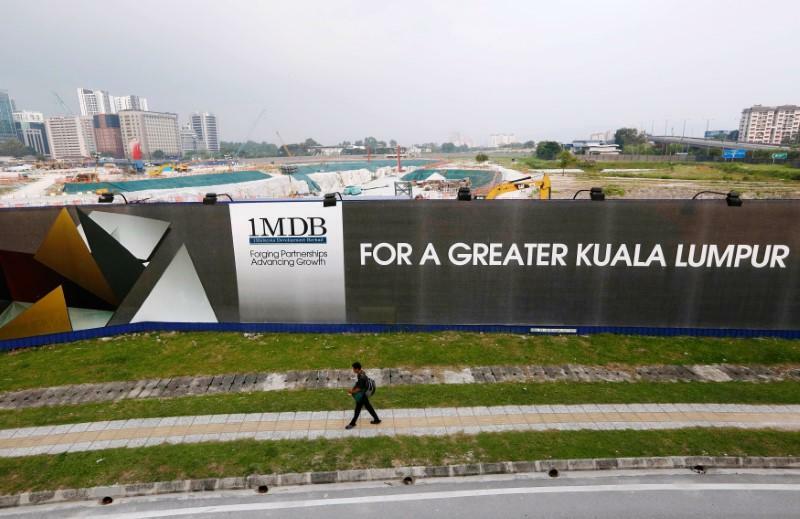 SINGAPORE –A Singapore court has ordered the return of millions of dollars misappropriated from Malaysian state fund 1MDB in a cross-border financial scandal that helped topple former leader Najib Razak. Tan Rajah and Cheah, a Singapore-based law firm acting for 1MDB and the Malaysian government, said Monday the Singapore State Courts "have granted disposal orders" in respect to the money totalling Sg$15.3 million ($11.1 million). "These monies are being transferred to the special 1MDB recovery bank account in Kuala Lumpur. Efforts to recover other unlawfully misappropriated assets are ongoing," it said in a statement. Malaysia's new government under Prime Minister Mahathir Mohamad, 93, has launched investigations into allegations that Najib and his cronies looted billions of dollars from the fund while he was in office. Last month, a yacht worth around a quarter of a billion dollars, allegedly bought by Malaysian businessman Low Taek Jho using money taken from 1MDB, was returned to Malaysia from Indonesia. Mahathir said authorities are also seeking to repossess a $35 million jet allegedly belonging to Low, a flamboyant international financier who is at the centre of the scandal, but whose whereabouts outside Malaysia remain unknown. The Singapore police last month confirmed the jet is in the city-state. Singapore is one of several countries, including the US and Switzerland, which have launched their own probes into the scandal, with the city-state focusing its investigation on the use of its financial system to launder stolen 1MDB money. Singapore authorities in 2016 said they had seized a total Sg$240 million ($174 million) in bank accounts and properties related to the 1MDB probe. The city-state also closed the branches of two Swiss banks and jailed a Swiss banker and three Singaporean private bankers following its investigation. The US Justice Department, which is seeking to recover assets allegedly bought with looted money, alleges that $4.5 billion was stolen from 1MDB.